Q: What is a dragon’s favorite wildflower? Pete’s Dragon (1977) is a movie that crystallized a lot of my feelings about what dragons should be — or not be, in this case. It was an early experiment in combining live action with animation, similar to the better known Who Framed Roger Rabbit (1988). Nowadays, of course, computer animation is so advanced that such hybrids are no longer necessary. This is a Walt Disney movie, but you can clearly see it’s from their declining period in the 1970s and ’80s. The characters are all caricatured, from the too-cute little boy to the town drunk who nobody believes saw a dragon, to the villains who can’t stop falling in the mud. The script falls prey to “stupid adult syndrome,” where the adults are written dumb so the child protagonist can be the smart one, and there are plot holes big enough to fly a dragon through. I think what bothered me most, though, was the dragon. Elliot seemed to be modeled after a stuffed toy: very round in the middle with tiny wings. His voice was goofy, and his main power was invisibility. Although he was supposed to protect the little boy, Pete, his childlike reactions more often got the boy in trouble. Even as a teenager, I knew this movie demeaned all dragons. Very young kids might like it, I suppose. If you see this on Netflix, get on your dragon and fly the other way. I usually blog on Thursdays, but I missed it yesterday. First, because I was working hard on my current novel, The Grimhold Wolf. Second, because I’ve been in the recording phase for my new podcast. Thanks in part to listener feedback, the podcast I chose to do first is called The Dragon King, and it collects a series of short stories I wrote in the style of the Brothers Grimm. It’s a short series, just 6 episodes. Hardly anything compared by my previous podcast of 16 episodes. Because the podcast will present a finite amount of verbiage, I’ve opted to record the episodes one after the other. I’ll need another couple of weeks to edit the goofs, mix in music, etc. My plan is to start the series in early August. Watch this space for more information on The Dragon King. Continuing on the thread of dragon movies, I come to Dragonheart, a 1996 adventure featuring Dennis Quaid and the voice of Sean Connery. Quaid’s character, Bowen, is a knight obsessed with killing dragons, yet jaded on the concept of chivalry. Draco, Connery’s dragon, teams up with Bowen to scam desperate villages by staging fake dragon slayings. It’s a complicated plot, as Bowen is called upon to join a rebel band fighting a tyrant, and refuses. Said tyrant was once Bowen’s student, but abandoned his honor and destroyed Bowen’s faith in chivalry. Said tyrant also was gifted with a piece of a dragon’s heart — Draco’s own — and so cannot easily be killed. There’s a noble queen and a beautiful girl pleading with both of them to save her people. The dragon is a great creation, with Connery’s wry voice and a wrinkled, shabby look that was well matched to Quaid’s way-worn gear. The setting, too, is a grubby never-land somewhere between Dark Ages and Medieval. Most of the dragon was CGI, but there were a few large puppets/props for close interaction between Draco and the human characters. The thing that sticks in my mind, years after, is the sardonic fun. Perhaps there are a few cheesy bits, but not enough to bring the story to a halt. If I recall, the rating was PG-13, making it suitable for most kids. It’s been a while since I mentioned a dragon movie, so I thought it fitting to cast my mind back to one of the archetypal dragon movies, Dragonslayer. You kids these days are lucky to have so many great SF and fantasy movies on the big screen — not to mention anime! We had nothing of the sort in 1981, when Dragonslayer was released. Star Wars, in 1977, had brought a lot of interest in SF adventures, but fantasy was considered too odd and risky. Actually, in some ways, Dragonslayer was odd and risky. It was a Disney production, but the Disney studio had largely stopped making its animated children’s fantasies. They were searching for a new niche. The special effects featured prominently in Star Wars and Jaws (also a 1977 film) were flowering rapidly, so it actually was possible to make large robots and set pieces to convincingly portray a giant, winged reptile. Make no mistake, the dragon Vermithrax is the true star. She’s everything a dragon ought to be: fierce, fire-breathing, ruthless. Vermithrax is menacing even in her sleep. The film makers used a variety of techniques to create their monster, including puppets, models, stop-motion, and several large segments of robot dragon, which individually measured 15 to 20 feet. There also was a clutch of baby dragons, which intentionally were about the ugliest little things you ever saw. The plot is a fairly standard adventure. Vermithrax is ravaging the countryside, bought off by a lottery to choose young women for sacrifice. A half-trained wizard answers the call for help, together with a girl who’s disguised as a man to avoid the lottery, and they’re both hindered by a wicked knight whose reason for wanting the dragon to stay around is never really clear. There are some nice riffs on the Medieval legend of St. George, with the lottery being rigged to protect the princess of the land. Those who aren’t so fond of religion will enjoy a sequence where a priest attempts to defeat Vermithrax through faith alone. Also look for some fun bits with an old wizard who didn’t bother to explain his grand plan to his apprentice. Movies were rated differently in 1981 than now, but consider this a PG-13 film. If you get the chance to see if on Netflex or other media, go for it! 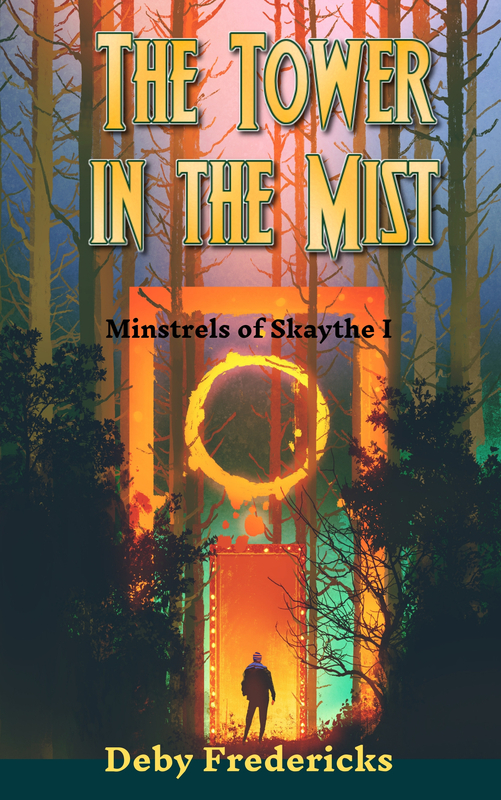 It’s been a few months since the conclusion of my podcast novel, Masters of Air & Fire. I had fun doing the first one, and I’m contemplating recording another with my free time on summer break. Masters of Air & Fire was a middle grade novel, so I’m thinking this time the grown-ups deserve a turn. Let me know what material appeals to you most. 1) classic swords and sorcery novelette, 2) dark urban fantasy novelette, or 3) short stories in the style of the Brothers Grimm. None of these will equal the 16 episodes of Masters of Air & Fire, but perhaps that’s best for time-pinched adults such as ourselves. So, followers, will it be Door #1, Door #2, or what’s behind the curtain? I look forward to your feedback.